Side frames for Elfa Drawer Systems. Crossbars for Elfa drawer units. Extra crossbars to connect two Elfa Drawer Units together. Shallow pull out baskets for the Elfa Drawer and D+cor systems. 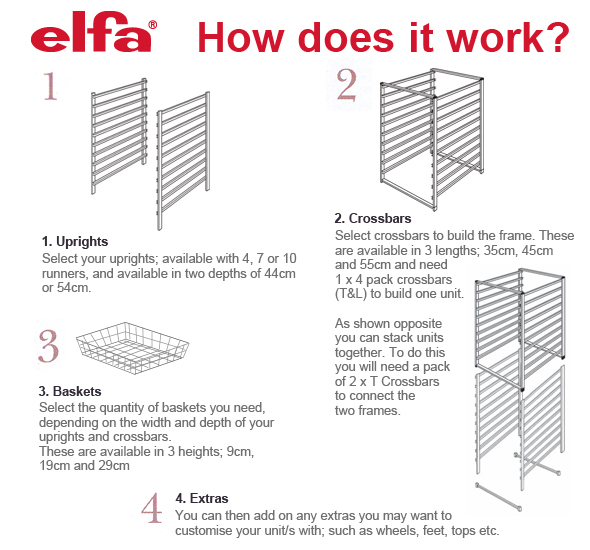 Medium pull-out baskets for the Elfa Drawer and D+cor Systems. Wheels for Freestanding Elfa Drawer Units. A pack of four feet for Elfa Free Standing Drawer Units.